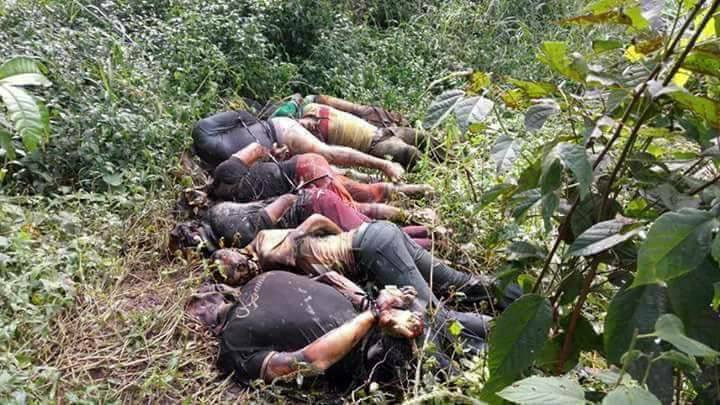 The Indigenous People of Biafra (IPOB) has declared 21 days mourning for its members killed during the military invasion of the home of its leader, Nnamdi Kanu at Afara Ukwu, Umuahia, Abia State. 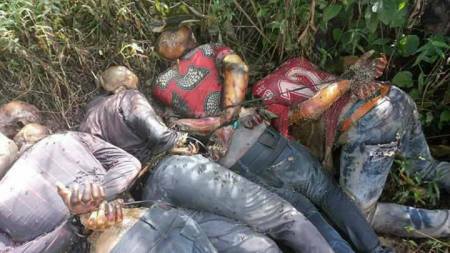 The group also revealed that it has discovered more corpses of its slain members in a bush within the precincts of the home of its leader. According to the group, 28 of its members were found in the bush following the invasion. About 11 of such bodies have already been interred. In a report by Sunday Sun, a senior member of the group, Mark Eze Ofuonye, who disclosed how some of their members were shot dead by the invading soldiers, and their corpses dumped in a bush near the home of the IPOB leader, said: “Some of our members, numbering over 28, were murdered in cold blood by the military during the invasion of our leader’s home at Afara Ukwu. The soldiers were doing a sort of mop up operation; whenever they killed any of our members, they carried away the corpse to conceal their horrendous act but it was not possible. “We lost very vibrant and lovely youths who were just peacefully asking for their rights, but the Nigerian government chose to use brute force on them. Some of our members, who were forced to drink poisoned water, have been defecating blood and we are also treating them. About 76 of our members were dumped in Aba prisons under the most inhuman condition and many of them are ill.
A lot of things are being done against our members, but the most beautiful thing about all these things is that the horrible experience we are passing through is giving us strength. The spirit has risen, the enthusiasm has come because when you look back and see you’ve lost a lovely one, a colleague, going back becomes a very big problem; you can’t go so that it will not look as betrayal. As I speak, we are establishing more zones and new members are coming in, we are winning the war of battle of hearts and minds,” he assured. He advised the United Nations to send its representatives to the home of their leader at Afara Ukwu to be able to see how soldiers invaded the house of a core civilian with heavy armoury and none of the soldiers sustained any scratch which he said was an indication that despite the propaganda mounted by the Nigerian army, the IPOB members were not armed.